I’ve done more carp fishing than normal so far this year. That is down to one reason only – I have wanted to. As someone who fishes for a wide range of species, employing many different methods, I don’t rotate to give everything a fair chance. I do whatever I fancy, and this week it’s the turn of carp to occupy my thoughts. The venue on which I fished hasn’t been doing too well of late. In fact I had the place to myself on session one, so that gives an indication of how tough it’s been. Not that I do it to prove anyone wrong, but I’m always up for a challenge, so with a decent level of optimism I set up for the night, cast out and settled back to begin the waiting game. As dusk gave way to darkness I switched my Batbox on. Although I couldn’t see any, I picked up weak and occasional common pipistrelle and noctule bats. I was obviously just on the very edge of their range. Along with Daubenton’s these are the three species that I encounter the most when angling. It was a beautiful night, perfect for the creatures of it. But would the carp come out to play? Well, that question was answered just before 3.00am when I had a screamer on the 2x corn-shaped poppers. From the moment you get the run till you lift into the fish, you have no idea how big it is. As it happened it was just a small one, but I was more than happy to catch it. Due to the venue playing hard to get recently, I would have been happy with the one fish. Considering anything else a bonus, the other reel went into overdrive at 5.00am, as another carp had been fooled. Not a big fish but you can’t determine who picks up your bait sometimes. The important thing is to recognise everything is working. 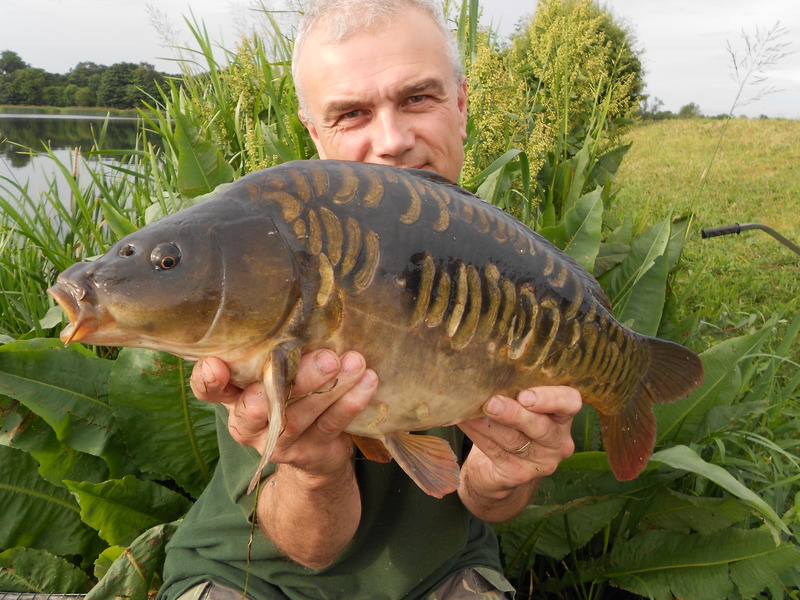 The successful bait this time was 2x M2 12mm pop-ups. They had been dipped in the same flavour with the other bait being enhanced with All season corn. I am a fan of dips, and even if they only give you confidence, then they have to be worth it on that basis alone. I believe it’s more than just that though and that’s why I use them. 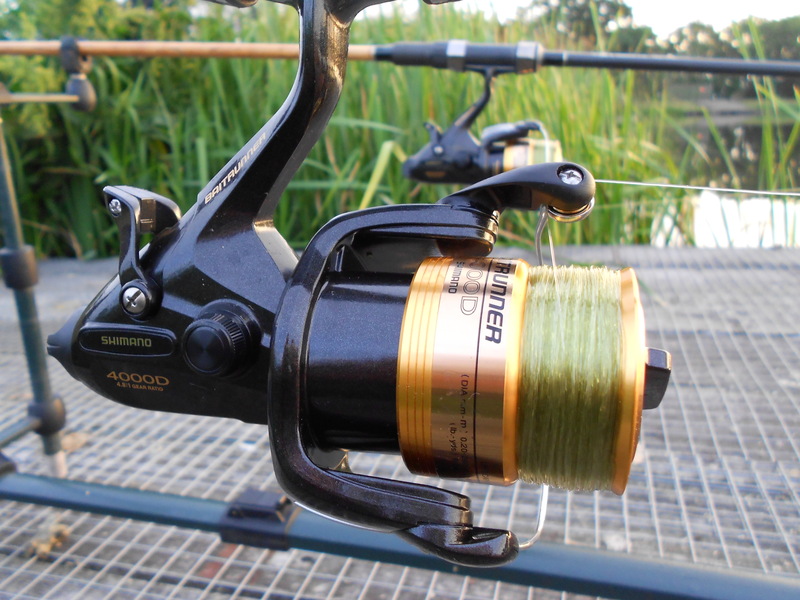 I recently bought a pair of Shimano 4000D reels specifically for my carp fishing. Spooled up with 16lb Ultima power carp ultra, it was nice to christen them. Although only small fish this time, they performed really well. I have been a fan of Daiwa reels for many years but after several disappointments I switched my allegiance some time back. 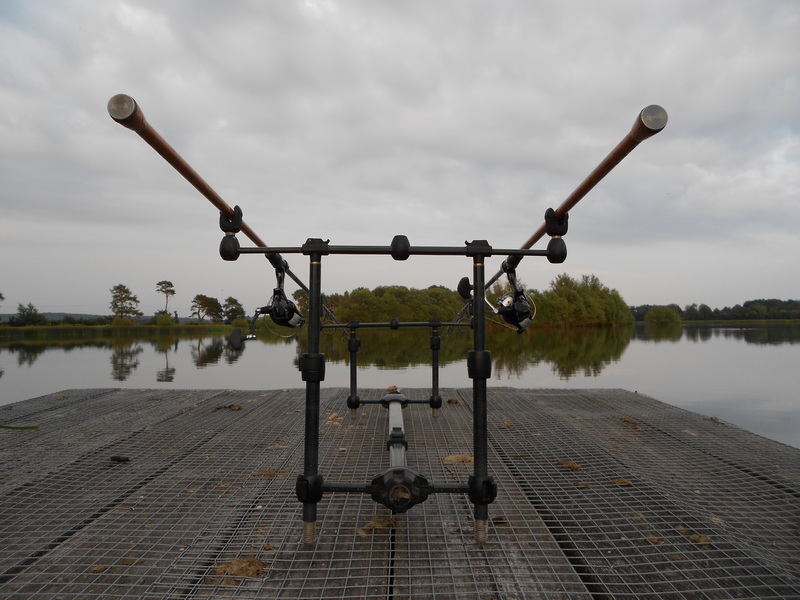 You can see my M2 boilies rig in the photograph below. Actually it’s the same rig that I used for the corn-shaped poppers. The lead clip is ESP, 1.5oz Avid Carp lead, Supernatural braid and Big T Raptor size 7 hook. I used a shot to anchor the pop-up bait but I’ve just noticed Harris Sportsmail have got some Fox kwik change weights in. I used these some years ago but couldn’t get hold of them again. Now I’ve come across them once more I’ll be adding some to my next order. I know the trend is to use weighted putty but as long as you nip the shot on right it’s ok. I do prefer the Fox weights though so I’m happy to be reunited with them. Back to the fishing and I ended my first outing of the week with a third carp, another mirror. 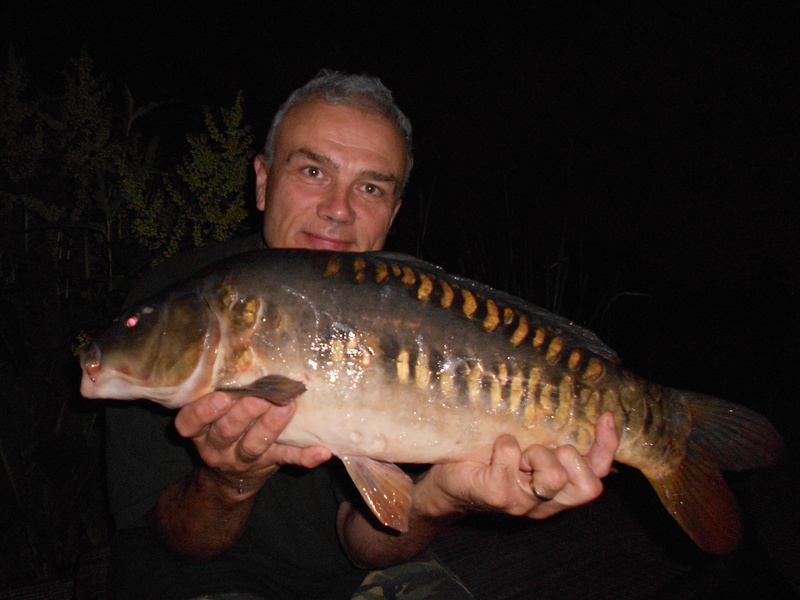 This one fell to the M2 thus giving them a 2-1 edge over the corn-shaped boilies. The sun was well up when I had the run and it stripped line like there was no tomorrow. Departing the venue I was definitely buzzing. Three fish from somewhere not producing at the moment is a result. Out again for another overnighter, I was fishing with a good hour or so to go before dusk. 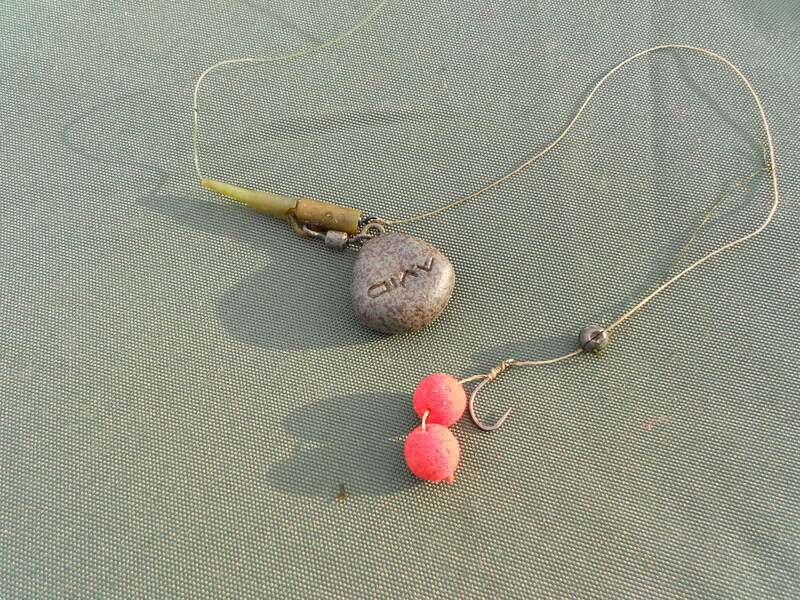 I had both rods at six lengths out, with M2 on the one and 2x 16mm lobworm pop-ups on the other. 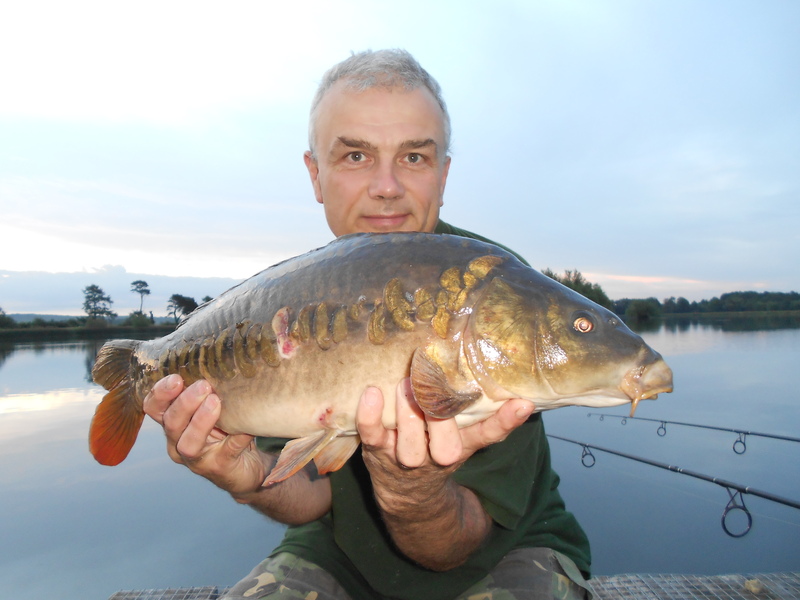 I used a PVA bag containing bloodworm pellets and boilies, then throwing out about 30 boilies on each spot by hand. The night was very quiet and I soon dozed off. At first light, when my eyes next opened, it was as if my gear had been sprinkled in the night. There was a heavy dew on everything, and as I was under the stars with no shelter, that included me as well. It was 6.45 am before I finally had a run. 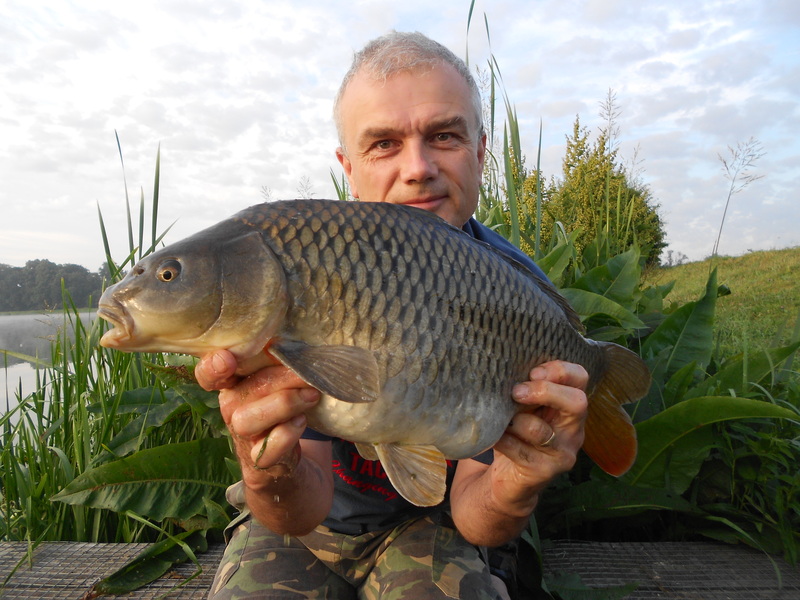 It was the M2 that did the business, and a few minutes later, after a good fight, I netted a common carp. After the run of mirrors on the first session, it was nice to catch one. As it proved to be the only fish of the outing, it again brought home the ‘thin line between success and failure’ that I am constantly referring to. Four fish in two nights but considering how the venue has been playing hard to get, I’m happy with the return.